Aces High is a series that attempts to connect the London Spitfire to the fans by providing information and interviews from the team so that you can get to know who they are that little bit further. This is the fifth episode of Aces High which has been and will be running throughout the season. If you want to read any of the previous interviews, then follow the Aces High link for more content. 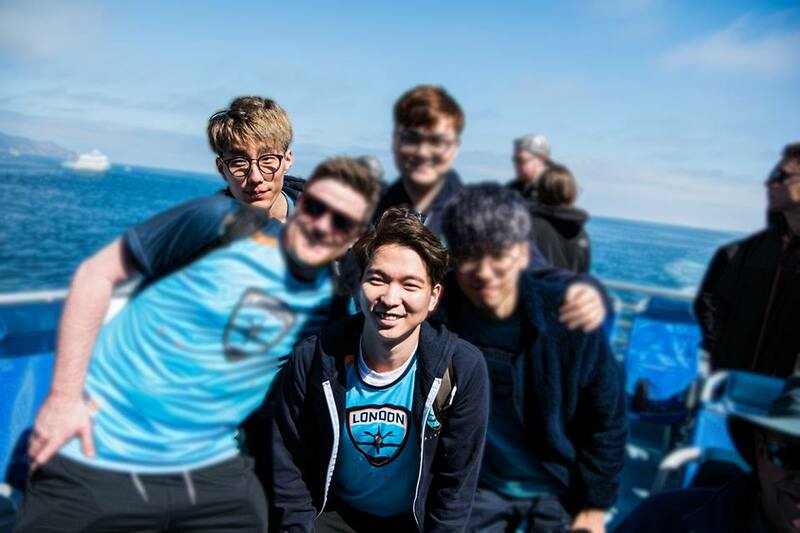 Today's interview is with coaches Change-Geun "Changgoon" Park and Jeong-Min "JFeel" Kim., who both came over to the Spitfire with GC Busan and Kongdoo Panthera respectively so have both have a good knowledge and level of understanding with the team, prior to them becoming the London Spitfire which you can see if you watch any of the Seven Minute videos with the team. Today we talk about their experience coaching, bringing the team together and comparisons to the other Korean coaches. How did you both get into coaching professional Overwatch? How was the transition from Heroes of the Storm for Jfeel and was the change from team management to coach for Changgoon a difficult one to make? Changgoon: As you may know, I was initially a team manager supporting the team. I began coaching from a coincidentally, and the most difficult part was learning enough for my game knowledge to be acceptable to the players. The countless nights I spent wide awake watching VODs, studying the game, has pushed me in a positive direction, resulting in the current version of me. JFeel: As I was approaching the end of my HotS career, I was considering switching over to Overwatch. Coach Kwon Pyeong recommended that I coach, and thereby I began my career as an OW coach. The transition was not very difficult, since back in HotS, I was in charge of strategies and shot calling, as well as helping teammates with their mentalities. With you both having experience in coaching GC Busan before JFeel joined Kongdoo Panthera. What’s been the hardest part in bringing the two teams together as the Spitfire? Changgoon: Since both teams had very different play styles, merging the players into a united team that maintains the pros of each member was the most difficult. Regarding the opinion of "then why don't you just run two separate rosters? ", OWL is not a short term tournament like APEX, it is a league established to be standing for much time to come. Of course, we are still in the process of completely merging the rosters, and we wish to show our efforts through results in the upcoming stages. JFeel: I suppose that when viewed externally, the two teams don't appear to have that great of a discrepancy in skill levels. However, the two teams' play styles are near opposite, and there definitely was a skill discrepancy between players. There were a lot of issues in the beginning when we were trying to create a stable starting line up while maintaining good vibes with everyone. Given that it was our first time coaching two full rosters instead of one with a few bench players, we were very busy, as it became apparent through internal as well as external issues that keeping all 12 players happy is very difficult. What’s been the biggest difference going from coaching in APEX to Coaching in OWL for you both? Changgoon: Since APEX was a short term tournament, player rosters were less for each team, and the amount of player / hero combinations that could appear were limited. This made analysis and coming up with strategies much easier. However, in the OWL, more players are present, and with the fast paced schedule, it becomes difficult for the coaching staff to analyze opposing teams and come up with ways to counter the myriads of hero compositions in a detailed manner. This makes everyone, players and staff included, much busier all the time, which is likely the biggest difference between the two formats. JFeel: APEX was ran in an elimination tournament style, and with map / side selection, there were many strategies we could use. Korean teams tend to stick to the meta rather than bring unorthodox picks, and since there was a long time between matches, we were able to utilize strategies that were specifically tailored to defeat a particular team. For OWL, most players are at least mechanically great, especially in the DPS department, and given that the maps are decided way before matches, every team practices a noticeable amount, and every match is exhausting in its own right. The biggest differences would be that the practice routine in OWL is much more rigorous, and therefore the bliss of victory is greater too. We learn 100 times more from our losses compared to APEX, and we're doing our best to keep winning. Before the Season started, there was a lot of hype around both Hocury and Pavane as the best Korean coaches. Yet it seems that you, as a pair have been coaching the most consistent team. Do you feel you’re both underrated as coaches? Changgoon: I've never thought of us as underrated coaches. Rather, we never have the time to ponder on such things. I don't think we would have made it this far if we were privy to external opinions. That is not to say that we are satisfied with our current standings. We will try our best to take the #1 spot in stage 3. Ho-Cheol "Hocury" of Seoul, Hyeon-Sang "Pavane" Yu and Hyeong-Seok "WizardHyeong" Kim of New York, are all very talented coaches. You can see this from their teams' performances. I am always learning a lot from them, and hopefully one day we will be able to work together. It's rather flattering to be mentioned along with those coaches. JFeel: I don't like downplaying others or praising myself, but looking at the league, I think self praise is a bit necessary. Basically, I believe that the coaches must respect each others' opinions and work together in order to apply things in practice quickly and achieve good results. This is similar in sports as well. And regarding this, I thought our coaching staff is the strongest, but in stage 2, it seems NYXL's coaches are further ahead than everyone else, more so than they were in stage 1. I am learning a lot. Personally, I don't believe how we are viewed from external parties are that important. I have read an article in the past that compared me to other coaches, but if you look at how GC Busan performed back in their PC Bang tournament days, as well as how Kongdoo turned it around in APEX after I joined, and London's current standings in the league, I think the results speak for themselves. I am also much younger than most other coaches. It feels great to have a full set of hair. As a side note, a coach that I respect and have learned a lot from is the current coach of MVP OW, Kwangbok Kim. Obviously the big news during this stage was the team parting from Bishop as head coach. Has there been a change in the style of coaching since he left and have you felt any additional pressure taking on the extra responsibility as the teams main coaches. Changoon: With the coaching staff reduced to two members, trying to accommodate for the league with less than half of other teams' coaching staff members is very exhausting. I think player to coaching staff ratio wise, we are the most understaffed. Me and JFeel have been picking up where Bishop left off, discussing everything together along the way. JFeel: Even when there were three coaches, we did not divide responsibilities. Rather, we discussed our opinions every day to lead the team in a unified manner. I can't talk much about how our play style has changed, but it definitely is disappointing that Bishop's vacancy is palpable in some regards. With even less people to take care of the players, things were difficult, but our headquarters, Cloud9, have been supporting us tremendously, and it's encouraged us to push even harder. We all saw the team try British food with Stylosa and the reactions were hilarious. What’s the best/worst food food you’ve had in America? Changgoon: I've only tried Marmite, and it wasn't that bad. It tasted similar to red ginseng, a Korean health supplement, but saltier. I think Marmite on toast with some black tea might be good breakfast. It's something I want to try again. JFeel: I'm not sure about main dishes since I haven't tried any, but once I tried Marmite, my immediate thought was to feed it to players losing focus in scrims. Finally I usually ask for a reason why I should get your jersey but we can’t buy Changgoon or JFeel jerseys, so which do you prefer? The home or away jerseys? Changoon: I really like both our jerseys. If I had to choose though, it'd be Away. Since it's white, it matches with pretty much anything. Both are definitely worth buying though. JFeel: My name when I was young was Haneul Kim, directly translated to Sky, and as such, my debut tag was also MVP SKY. There's also a model I really like that's named Haneul. I like sky blue. I like our home jersey. I love how the Spitfire Widowmaker skin looks. Please support us with these amazing skins. I wanted to say a huge thank you to Changgoon and JFeel for taking the time to answer my questions. When the Spitfire return, we start stage three playing rivals the Houston Outlaw on Friday 6th April at 4 am BST(GMT) and stage two winners in the New York Excelsior on Sunday 8th April at 1 am BST(GMT).